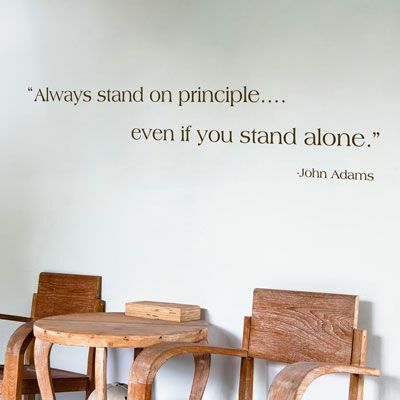 Always stand on principle, even if you stand alone. Remind yourself to never compromise your morals, and to do what's right, even when those around you choose to do otherwise! Our wall decals are ideal for offices, living rooms, entryways, classrooms, even your car or glass shower doors! 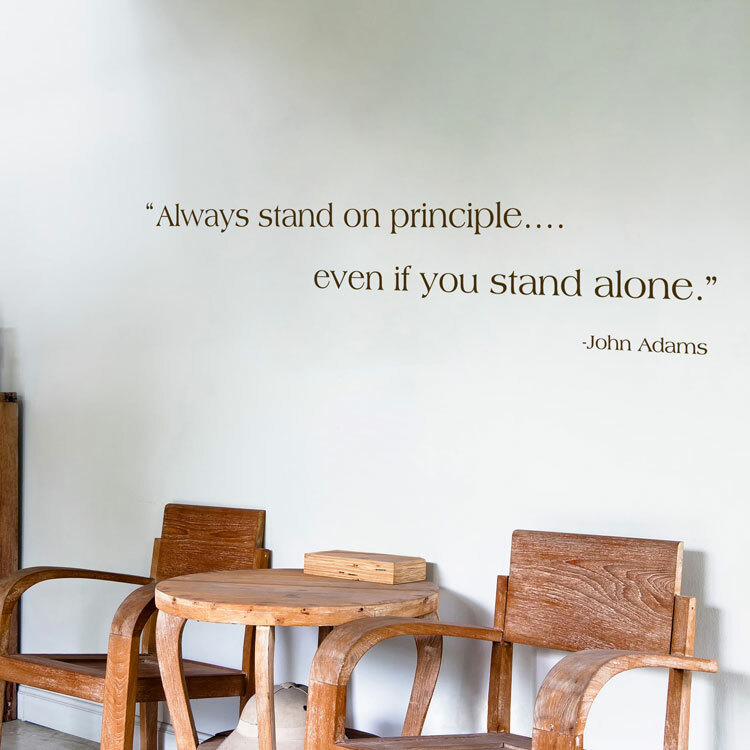 This quote wall decal is shown in our Large size, which, as shown, measures 55 inches wide by 12 inches tall. It is also available in our Small size, which measures 40 inches wide by 9 inches high. Colors shown - Dark Brown matte in the first image, and Light Brown matte in the second image. 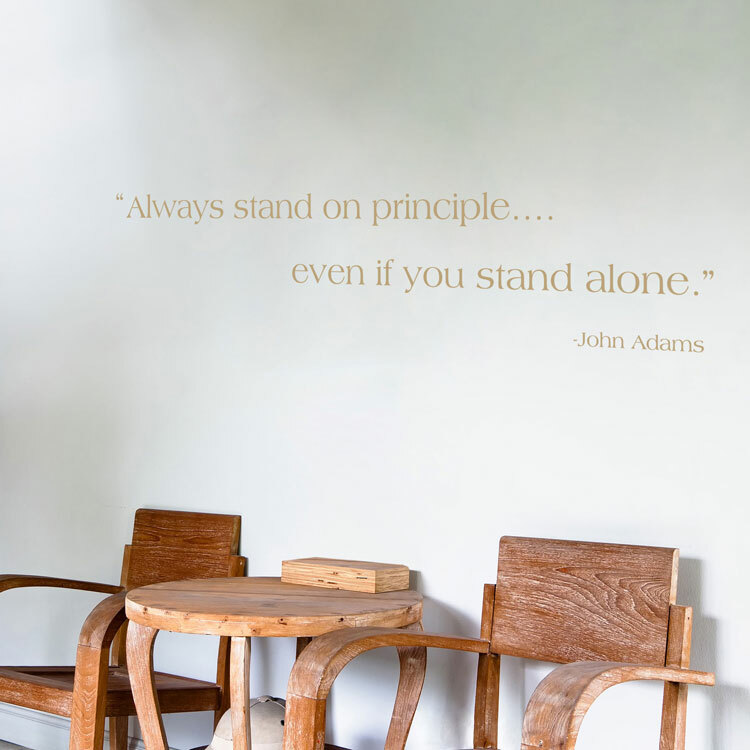 This John Adams quote wall decal comes in sections for easier application. I just wanted to take a minute to thank you and all of Dali Decals for their excellent customer service. You all responded so quickly to my inquiries in creating our decal for our son to be's nursery and were so kind and easy to work with when there was a mistake in the colors. I just really appreciate the customer service and feel that sometimes we forget to say thank you. Thanks for making me smile every time I walk past his room. I am thoroughly impressed with Dali Wall Decals. I placed an order on Dec. 20th, a day after the cutoff for Christmas arrival. Yet, here I am on Dec. 23rd with a gift for my cousin. Thanks so much! !